NORML PAC Endorses a Florida Congressional Candidate. NORML PAC, the campaign and lobbying arm of NORML, has endorsed Democrat Wes Neuman for Congress in Florida's 7th District. NORML says it believes "Wes will be a great champion for marijuana law reform in Washington, DC." Neumann says he will advocate for marijuana legalization. NFL Reportedly Will Cut Marijuana Punishments. ESPN.com is reporting that when the NFL's new player drug policy is announced, punishments handed out for marijuana use will be reduced. ESPN also reported that the new drug policy will have a higher threshold for the amount of marijuana needed to trigger a positive test result. At least one current NFL player, Cleveland Browns receiver Josh Gordon, is facing a season-long suspension for running afoul of the league's marijuana policy. The NFL Players Association had suggested the league review its policy on marijuana and drug testing in general. Competing Minnesota Medical Marijuana Bills Head for Conference Committee. The state Senate voted Tuesday not to concur with the medical marijuana bill passed by the House, Senate File 2470, which is more narrowly tailored than the bill that has passed the Senate, Senate File 1641. That means a conference committee will have to try to hammer out an acceptable compromise. DEA Will Allow Hemp Seeds to Enter US for Kentucky Research Project. Kentucky Agriculture Commissioner James Comer said Tuesday that the DEA will quit trying to block the import of Italian hemp seeds to Kentucky for research purposes now permitted under the hemp amendment to the recently passed omnibus farm bill. The seeds are being held by US Customs at a warehouse in Louisville. Cromer was ready to go to federal court today, if the DEA had not yielded. The state Agriculture Department and several universities are planning hemp research projects this year, but they need to get the seeds in the ground. The clock is ticking. Massachusetts Drug Treatment Bill Being Debated Today. A bill that would ease access to drug treatment, by forcing insurance companies to cover treatment that's provided without prior authorization from them, is being heard in the state Senate today. The measure is Senate Bill 2133, which was developed by a special legislative committee on drug addiction. There are 37 amendments to get through, too. Rate of Prescription Drug Overdoses Increased More Than Threefold in a Decade, CDC Report Says. A new report from the Centers for Disease Control (CDC), Health, United States, 2013, finds that the rate of prescription drug overdose deaths in the US increased from 1.9 per 100,000 residents 15 and over in 1999-2000 to 6.6 per 100,000 in 2009-2010. No Safe Injection Rooms for Brighton after UK Government Warns Health Workers of Risk of Arrest. 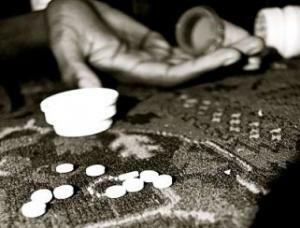 Last year, the Independent Drugs Commission for Brighton and Hove suggested that Brighton and Hove establish drug consumption rooms, saying they could take drug use off the streets and reduce overdose deaths. But those plans have now been shelved after the Home Office warned that health workers working in such facilities might be subject to arrest. The idea also got a mixed reception from the public. In Face of New Zealand's Renewed Ban on Synthetic Weed, Auckland Deputy Mayor Says Decriminalize the Real Thing. Auckland Deputy Mayor Penny Hulse, who had previously opposed decriminalizing marijuana, has had a change of heart. She told an Auckland Council meeting Tuesday that it didn't make sense to regulate synthetic marijuana without considering safer alternatives -- like real marijuana. Jamaica Marijuana Conference Coming Later This Month. The inaugural Jamaica Cannabis Conference is set for May 22-24 at the University of the West Indies campus in Mona. The theme is "Wake Up, Jamaica; Our Opportunities Are Slipping Away." Click on the link for more details. Jamaican Musician and Poet Mutabaruka Tells Gambia to Legalize It. On a visit to Gambia to perform at the 11th annual International Roots Homecoming Festival, famed Jamaican poet and reggae singer Mutabaruka said Tuesday that Gambia should legalize marijuana and that "no youth should be in trouble over marijuana," citing the international movement toward marijuana legalization. West Virginia cold sufferers watch out! They're coming for your Sudafed. Arizona Poll Has 51% for Legalization. A poll from Arizona's Behavior Research Center has support for marijuana legalization at 51%, with 41% opposed. In recent months, other polls have showed majorities both for and against legalization. Maine US Senate Candidate Wins NORML PAC Endorsement. NORML PAC, NORML's political campaign arm, has endorsed Shenna Bellows in her campaign to represent Maine in the US Senate. "Shenna Bellows has been at the forefront of the fight for marijuana legalization even before beginning this campaign," stated NORML PAC Manager Erik Altieri, "During her tenure leading the Maine ACLU, Shenna has demonstrated she has the skill and determination to fight for sensible reforms and has proven to be a vocal and articulate leader in calling for the end of marijuana prohibition. We believe she will be invaluable in the United States Senate to help move the country away from our failed war on marijuana and towards a new, smarter approach." Bellows is seeking the Democratic Party nomination. Almost Nine Out of Ten New Yorkers Support Medical Marijuana, Poll Finds.A new Quinnipiac poll has support for medical marijuana at 88%, with only 9% opposed. The poll also had a 57% majority for marijuana legalization. Click on the link for more poll details. Two New York GOP State Senators Announce Support for Medical Marijuana Bill. Two Republican state senators, George Maziarz (R-Newfane) and Mark Grisanti (R-IP-Buffalo), have announced their support for the pending medical marijuana bill, the Compassionate Care Act. They are the first Republicans to do so. The Compassionate Care Act has passed the Assembly four times, and Governor Cuomo's administration has said the governor would sign it, but the legislation has long been stuck in the Senate. Oregon Bill to Block Cities and Counties from Banning Dispensaries Passes Senate. The Oregon Senate Tuesday passed Senate Bill 1531, which would let cities and counties regulate medical marijuana dispensaries, but not ban them. A number of cities have already passed ordinances banning dispensaries before a new state law allowing them goes into effect next month, and the Association of Oregon Cities is threatening to sue if the bill passes. It now goes to the House. 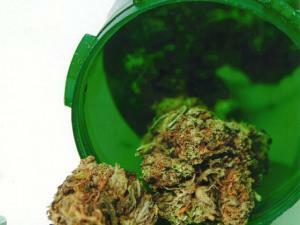 New Mexico Patient Survey Finds Program Not Providing Enough Medical Marijuana. A state Department of Health survey of patients enrolled in the state's medical marijuana program finds that only about 20% of patient demand is being met through legal channels. Licensed growers are producing about 2,250 pounds a year, but the survey put the annual demand from patients at more than 11,000 pounds. The Health Department is now "weighing its options about whether to increase production" and whether to increase the number of producers or the number of plants each can produce, a spokesman said. Indiana Food Stamp Drug Test Bill Now Targets Only Those With Misdemeanor Drug Convictions. A bill that would have required drug screening for all food stamp applicants and drug testing for those deemed likely to be using has been amended to now apply only to people who have misdemeanor drug convictions in the past 10 years. (People with drug felonies are ineligible for food stamps under a federal law that Indiana has not opted out of.) House Bill 1351 passed the Senate Health and Provider Services Committee after being amended. It has already passed the House. 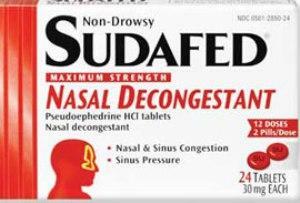 Bill Making Sudafed Prescription-Only Passes West Virginia Senate. A bill that would make access to OTC cold medications containing pseudoephedrine available by prescription only passed the state Senate Tuesday. Senate Bill 6 now goes to the House. The measure is aimed at reducing the number of meth labs in the state, although it has had only temporary effects in the other two states where it has been adopted. Pseudoephredrine is a precursor chemical in meth manufacture. Georgia to Ban Synthetic Cannabinoid Chemicals. Georgian Minister of Labor, Health and Social Affairs Davit Sergeenko said Wednesday a law on criminalizing the basic biochemical formulas used to create synthetic cannabis has been almost completed. "From now on, these substances will be considered as illegal and all the control mechanisms and limits that are set on other legal or illegal drugs will be valid for synthetic cannabis too," Sergeenko said. Myanmar Extends Opium Crop Substitution Program in Northern Shan State. The Myanmar government, working in cooperation with the UN Office on Drugs and Crime, is extending its crop substitution program for poppy farmers in Northern Shan State. The idea is to increase farmers' food security in areas where eradication has taken place. Last year, Myanmar eradicated about one-fifth of the estimated poppy crop. New Mexico Senate Committee Votes to Remove Marijuana from Schedule I. In a surprise move, the Senate Judiciary Committee Saturday voted to remove marijuana from the state's list of controlled substances. The move came in the form of an amendment by Sen. Cisco McSorley (D-Albuquerque) to a synthetic cannabinoids ban bill, Senate Bill 127. The bill goes now to the full Senate. Poll Finds Majority Support for Legalization in New York. A new Quinnipiac University poll released today shows that New Yorkers support the legalization of small amounts of recreational marijuana 57% to 39%, while 45% of those voters say marijuana is no more dangerous than alcohol and 36% say it's less dangerous. The poll also found whopping 88% support for medical marijuana. Click on the poll link for more details. Michigan Bill Would Allow Landlords to Prohibit Patient Use on Private Property. A bill that would allow Michigan landlords to ban the use, possession, or cultivation on private property is set for a committee hearing this week. Senate Bill 783, sponsored by Sens. Rick Jones (R-Grand Ledge) and James Marleau (R-Lake Orion), gets a hearing before the Senate Judiciary Committee tomorrow afternoon. Foes called the bill "hostile" and "unnecessary." Synthetic Drug Ban Bill Passes Alabama Senate. A bill that would expand Alabama's ban on new synthetic drugs passed the Senate last Thursday and now heads to the House. Senate Bill 333, sponsored by Sen. Arthur Orr (R-3rd District), would add additional synthetic cannabinoids and other analogues to the ban. Next stop is the House Judiciary Committee. Meet NYPD's Most Sued Cops -- They're All Narcs. The New York Daily News reveals that 55 NYPD officers have been sued 10 times or more at a cost to the city of over $6 million. The Daily News then profiled the four officers with the most lawsuits filed against them. All four are narcotics officers. And for some reason, all four are still on the job. Senators Still Looking for Answers on Customs Searches of Domestic Private Aircraft. It took holding up the nomination of current drug czar Gil Kerlikowske to head Customs and Border Protection (CBP), but a pair of US senators finally got a response from CBP to their months-old question about how and why the border protection agency was stopping and searching private aircraft that had never left the US. Sens. Pat Roberts (R-KS) and Jim Risch (R-ID) put the hold on the nomination, and while CBP has responded, they say they are still not satisfied with the response and sent a February 12 letter requesting a briefing and additional written responses from DHS. Click on the title link to get all the details. California Defelonization Sentencing Reform Initiative Cleared for Circulation. A sentencing reform initiative whose proponents are San Francisco District Attorney George Gascon and San Diego Police Chief William Landsdown has been approved for signature gathering. The initiative would require misdemeanor sentences instead of felonies for a number of petty crimes, including certain drug possession offenses. It would also require resentencing for people currently serving felony sentences for those offenses. It needs 504,000 valid voter signatures before the end of spring to qualify for the November ballot. Olympics Drug Testers Raise Permissible Levels for Marijuana. The World Anti-Doping Association (WADA) has raised the permissible level of marijuana in athletes' urine from 15 nanograms per millileter to 150 nanograms. Although WADA considers marijuana to be a performance enhancing drug, it also conceded that it also "is a socially more or less an accepted drug being used in social context" and raised the threshold accordingly. "That's a reasonable attempt at dealing with a complicated matter and that was agreed upon as the best way to proceed with this particular issue," Arne Ljungqvist, head of the International Olympic Committee's medical commission, told reporters Saturday in Sochi. "There is a big debate on it." 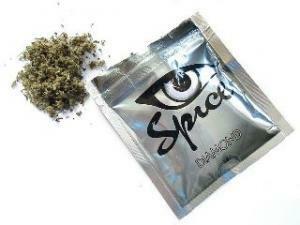 Harsh New Synthetic Drug Laws Now in Effect in South Australia. New laws that heighten criminal penalties for selling or manufacturing synthetic stimulant drugs went into effect across South Australia today. In addition to increased prison sentences, the Controlled Substances (Offences) Amendment Bill 2013 also outlaws the "promotion" of synthetic drugs or causing another person to believe they caused effect similar to an illegal drug or similar to a legal stimulant. Those speech-crime offenses are punishable by up to two years in prison. Marijuana Decriminalization Bill Filed in Bermuda. Members of the opposition People's National Party filed a marijuana decriminalization bill Friday. The Decriminalization of Cannabis Act would remove criminal penalties for the possession of up to half an ounce, but Attorney General Mark Pettingill seemed quite perturbed by it, accusing the PNP of coming "swashbuckling in" with a "very badly thought out" bill. Norway Approves Use of Naloxone for Overdose Reversal. Norway has Europe's worst overdose rate, and now the Scandinavian country is preparing a pilot program that will offer the overdose reversal drug naloxone (Narcan) in its two most populous cities, Oslo and Bergen, later this year. Since 2002, about 240 people have died each year in Norway from heroin overdoses, more than have died from traffic accidents. Vancouver Clinic Seeks Federal Approval for Long-Running Safe Injection Site. The Dr. Peter Center, which has quietly provided supervised injection services for its clients since 2002, is now seeking a formal exemption from Canada's Controlled Drugs and Substances Act to be able to do so legally. The move, which comes in the wake of a 2011 Canadian Supreme Court decision stopping the federal government from shutting down the Insite supervised injection site in the Downtown Eastside, has the support of the city and provincial governments. Eighteen Congressmen Call for Marijuana Rescheduling or Descheduling. In a Wednesday letter to the White House, 18 congressmen urged President Obama to tell Attorney General Holder to ease up on marijuana. "We request that you instruct Attorney General Holder to delist or classify marijuana in a more appropriate way, at the very least eliminating it from Schedule I or II. Furthermore, one would hope that your Administration officials publicly reflect your views on this matter," said the letter signed by 17 Democrats and one Republican. The letter's lead author is Rep. Earl Blumenauer (D-OR). Texas Governor Candidate Wendy Davis Says She Would Consider Decriminalization, Supports Medical Marijuana. Democratic gubernatorial candidate Wendy Davis told the Dallas Morning News editorial board she would consider decriminalizing marijuana possession and she supports medical marijuana. "We as a state need to think about the cost of that incarceration and, obviously, the cost to the taxpayers as a consequence of it, and whether we're really solving any problem for the state by virtue of incarcerations for small amounts of marijuana possession," Davis said. "I personally believe that medical marijuana should be allowed for. Certainly as governor I think it's important to be deferential to whether the state of Texas feels that it's ready for that." Pennsylvania Governor Candidate Allyson Schwartz Calls for Decriminalization, Supports Medical Marijuana. Leading contender for the Pennsylvania Democratic Party gubernatorial nomination US Rep. Allyson Schwartz told the Philadelphia Weekly Monday she favors decriminalization and medical marijuana. "I do believe that marijuana is over-criminalized. 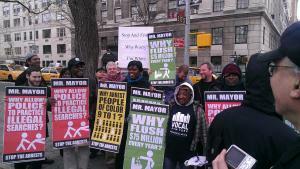 And what we should do is decriminalize possession," she said. She also said she would sign a pending medical marijuana bill. "If it came to my desk, I would be supportive," she said. New Mexico Senate Rules Committee Stalls Marijuana Legalization Resolution. State Sen. Gerald Ortiz y Pino (D-Bernallillo) saw his Senate Joint Resolution 10 stalled on a tie vote in the Senate Rules Committee Tuesday. The bill would have legalized possession for those 21 and over and set up a regulated system of marijuana commerce. New Mexico House Committee Approves Study of Legalization Effects. A measure that asks the Legislative Finance Committee to study the effects of marijuana legalization in other states passed the House Appropriations and Finance Committee Tuesday. House Memorial 38, filed by Rep. Bill McCamley (D-Las Cruces), should now be headed for a House floor vote. Arizona Decriminalization Bill for Small-Time Possession With Intent Filed. Rep. Mark Cardenas (D-Phoenix) has introduced a bill that decriminalizes possession with intent to sell of less than an ounce of pot, make possession of less than two pounds with intent to sell a petty offense, and make possession of more than two pounds with intent to sell a misdemeanor. The measure would also decriminalize growing if the yield is less than two pounds. The bill is House Bill 2474; it has been assigned to the House Judiciary and Rules committees. Medical Marijuana Supporters Rally in Oklahoma City. Supporters of medical marijuana led by Oklahoma NORML rallied at Oklahoma State Capitol today, and also did lobbying and training. Drug Czar Calls for Overdose Antidote Drug to Be More Widely Available. The Office of National Drug Control Policy (ONDCP, the drug czar's office) called Tuesday for making the overdose antidote drug naloxone (Narcan) more widely available. "The Obama Administration is encouraging first responders to carry the overdose-reversal drug naloxone," ONDCP said in a blog post. "When administered quickly and effectively, naloxone immediately restores breathing to a victim in the throes of an opioid overdose. Because police are often the first on the scene of an overdose, the administration strongly encourages local law enforcement agencies to train and equip their personnel with this lifesaving drug… Used in concert with "Good Samaritan" laws, which grant immunity from criminal prosecution to those seeking medical help for someone experiencing an overdose, it can and will save lives." Boston Mayor Calls for All First Responders to Carry Overdose Antidote. Boston Mayor Martin Walsh Tuesday responded to a spike in drug overdoses in the city by calling on all first responders to carry naloxone (Narcan), a medication used to reverse opioid overdoses. Both heroin and prescription opioid overdoses have jumped since 2009. Walsh announced a series of community workshops on the issue. Indianapolis Police to Carry Overdose Antidote. Beginning next month, the Indianapolis Metropolitan Police will begin a pilot program where police officers are trained in the use of and will carry with them naloxone (Narcan) to reverse overdoses. Heroin overdose deaths have doubled in the city since 2011. Maine Governor Opposes Bill to Increase Access to Overdose Antidote. Maine Gov. Paul LePage (R) opposes a bill to make the opioid antagonist naloxone (Narcan) more widely available, saying it would encourage drug use. The sponsor of the bill, Legislative Document 1209, Rep. Sara Gideon (D), said the governor's health policy advisor told her he would oppose the bill. "His main objection is his belief -- and I have to emphasize 'his belief' because there is no evidence that supports this at all -- his belief that increasing the availability of Narcan or naloxone will lead the drug user or drug abuser to have this feeling of invincibility," Gideon said. 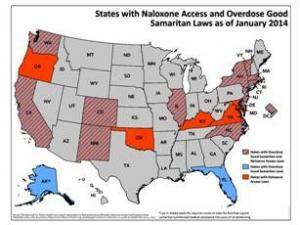 The Tea Party Republican governor last year vetoed bills to increase naloxone availability and create a Good Samaritan 911 law. Fatal heroin overdoses in the state quadrupled between 2011 and 2012. New Mexico Drugged Driving Bill Advances. A drugged driving bill passed out of the House Transportation and Public Works Committee Tuesday. House Bill 190, filed by Rep. Bill Rehm (R-Albuquerque), would make driving with any detectable level of controlled substances, including marijuana and prescribed drugs evidence of driving under the influence of drugs. Such evidence would not automatically guarantee a conviction, but could be used to shore up prosecutions. The bill ran into opposition from, among others, the Drug Policy Alliance, which said it was likely to entrap regular users of marijuana or medical marijuana. The bill now moves to the House Judiciary Committee. Missouri Synthetic Drugs Bill Advances. A bill that adds several specific substances to the state's list of banned synthetic cannabinoids advanced on a voice vote in the House Tuesday. House Bill 1051 is designed "basically to stay ahead of or try to keep up with new chemicals as they come out," said bill sponsor Rep. Shawn Rhoads (R-West Plains). The bill needs one more House vote before moving to the Senate. Italian Supreme Court Strikes Down Law Equating Marijuana With Heroin. The Italian Supreme Court Tuesday struck down a 2006 law that removed the distinction between "soft" and "hard" drugs, stiffening prison sentences for marijuana and hash offenders, and filling the country's prisons with low-level pot offenders. The expectation is that thousands of them will soon be freed. 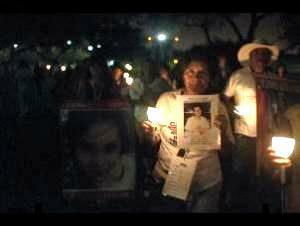 Groups Call for UN to Freeze Vietnam Anti-Drug Aid Over Death Penalty. Harm Reduction International and the anti-death penalty groups Reprieve and the World Coalition Against the Death Penalty have called on the United Nations to freeze anti-drug aid for Vietnam after it sentencing 30 people to die for heroin trafficking. 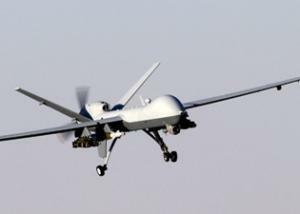 In a letter to the Vienna-based UN Office on Drugs and Crime (UNODC), they said they had raised concern for several years about UN support for countries that impose the death penalty for drug offenses and that UNODC had internal human rights guidance that required it "to cease support for a country if it is feared the support may facilitate executions." UNODC had not replied as of Wednesday afternoon. Marijuana Seeds Dropped from Slovak Controlled Substances List, New Drugs Added. President Ivan Gasparovic Tuesday signed legislation that will drop marijuana seeds from the list of illegal drugs in Slovakia because they do not contain cannabinoids. But the updated list will now include eight new drugs, including buphedrone, desoxypipradrol and 4-methylamphetamine, and it down-schedules GHB to allow doctors to prescribe drugs containing it. Colorado Marijuana Shops Did a Million Dollars in Business New Year's Day. According to Colorado's 9 News, shops across the state sold more than a million dollars worth of marijuana on the first day of legal sales. The state has estimated that sales could amount to as much as $600 million by year's end, but more shops are going to have to open and business remain brisk to reach that target. New Mexico Senator Wants Referendum on Marijuana Legalization. State Sen. Gerald Ortiz y Pino (D-Albuquerque) said Thursday he plans to file a bill for a constitutional amendment to legalize marijuana. If approved by the legislature, the measure would go directly to voters in the November election. New Hampshire House Votes on Marijuana Legalization Next Wednesday. The New Hampshire House will open its 2014 session next Wednesday with a vote on marijuana legalization. The bill before it, House Bill 492, would allow adults to use, possess, and cultivate limited amounts of marijuana with no penalty. The bill would also set up a taxed and regulated market for marijuana production and sale. Galesburg, Illinois, Ponders Semi-Decriminalization of Marijuana. The Galesburg City Council is considering the approval of a new municipal law relaxing penalties for cannabis possession. Under the proposal, police could either arrest or ticket people caught possessing less than 2.5 grams. The city hopes to raise revenue from fines and redirect law enforcement resources. "Breaking Bad" Contest Winner Busted for Cooking Drugs. In the life imitates art department, a Florida man who won a September contest to watch the series finale of AMC's "Breaking Bad" with the show's cast in Los Angeles has been arrested on charges he had a synthetic marijuana (not meth) lab in his home. Ryan Carroll faces one misdemeanor and two felony charges after his New Year's Eve arrest. "It's such a great show," Carroll said after winning the contest. "I think it's addicting because people can relate to the main character." Can you say foreshadowing? Paraguay President Says No to Marijuana Legalization. Paraguayan President Horacio Cortes isn't taking a cue from neighboring Uruguay, which has legalized marijuana commerce. Cortes told the Associated Press Thursday he opposes legalization because marijuana is an addictive drug and he's seen former classmates "suffer and die" from its effects. Paraguay is the largest marijuana producer in South America, but its low-quality bulk product has the same cachet in South American that Mexican "brick weed" does in North America. No Marijuana Legalization in the Philippines, Either. A spokesman for Filipino President Benigno Aquino III said Friday that the Philippines is not headed down the path of marijuana legalization. "It is prohibited under the Dangerous Drugs Act. It will remain as such until Congress amends the law," Malacanang Palace deputy spokesman Abigail Valte said during a news briefing. Valte didn't encourage Congress to move in that direction. In Historic Move, Colorado Issues First General Marijuana Business Licenses. The Colorado Marijuana Enforcement Division Monday issued 348 approved licenses for marijuana growers, processors, and retailers, making it the first state to issue such licenses. Some 136 of the licenses are for retail outlets. The marijuana business goes legit on January 1, although it's unclear how many pot shops will be open on day one. Arkansas Attorney General Rejects Wording of Legalization Initiative (Again). For the second time, Attorney General Dustin McDaniel has rejected the wording of a proposed ballot measure to legalize marijuana. He said there were ambiguities in the wording of a proposed constitutional amendment submitted by Marjorie LeClair. McDaniel has approved the language of two other marijuana initiatives, both relating to medical marijuana. Dispensaries Delayed in Nevada. Although the law allowing dispensaries to operate in Nevada goes into effect April 1, don't expect to see any then. The state Division of Public and Behavioral Health says it needs to hire more staff and that it could be four months after April 1 before licenses are accepted, reviewed, and approved. Kentucky Industrial Hemp Commission to Meet Monday. The state's Industrial Hemp Commission will meet Monday, December 30, at 1:00pm at the office of Agriculture Commissioner James Comer to discuss the status of talks with the US Justice Department, hear reports from various committees, and present drafts of clean-up legislation and the annual commission report. Uruguay Marijuana Legalization Prompting Neighbors to Rethink. Look out, it could be contagious! Uruguay's move to legalize marijuana is having a ripple effect in the region. Argentina' drug czar, Juan Carlos Molina, has now called for a public debate there about following Uruguay's footsteps, and said his boss, President Christina Fernandez de Kirchner, wants a new approach, too. There are signs that Chile, too, may head down that path. Newly reelected socialist President Michelle Bachelet campaigned on reviewing marijuana's classification as a hard drug. English-Language Details on Raided Belgian Cannabis Club. We reported last week on the harassment by police of the Mambo Cannabis Social Club in Hasselt, Belgium, and the arrest of its founder, Michel Degens, but the only link we had was in Dutch. Here, thanks to the folks at NORML UK, is an English language backgrounder and update on the situation. Click on the link. Ban on Non-Dutch in Cannabis Cafes Not Illegal Nor Discriminatory, Advocate General Says. Leen Keus, the advocate general for the Council of State, said Tuesday that banning non-residents from cannabis cafes is not illegal nor discriminatory. The ban is not against Dutch, European, or international law, Keus said. His comments come as the Council of State, the country's highest administrative court, prepares a ruling on whether the government was correct in closing two Maastricht cannabis cafes because they refused to implement the ban. Among other things, the advocate general is charged with issuing legal opinions on matters before the court. New Zealand Synthetic Cannabis Shop Draws Crowds, Controversy, Vandalism. New Zealand this year chose to regulate synthetic drugs instead of banning them, but that doesn't mean controversy and problems have gone away. The U njo Y shop in East Hamilton is drawing both large crowds of people who want to get high on synthetic cannabinoids and scathing criticism from some members of the community for the "anti-social behavior" it is accused of generating. And speaking of anti-social behavior, the shop is now the target of vandals, who have glued its doors shut and hurled marbles at its windows. Florida Attorney General Pam Bondi Wednesday filed an emergency rule criminalizing four related synthetic cannabinoid drugs, including one being marketed under the name "Crazy Clown," her office announced in a press release. The emergency move makes the new synthetics Schedule I controlled substances under Florida law. The four substances are B-PINACA, AB-FUBINACA, ADB-PINACA, and Fluoro ABDICA. They have been tentatively identified as cannabinoid receptor agonists, similar to an earlier round of synthetic cannabinoids that have been marketed under names such as "Spice" and "K2." Those drugs are banned under federal law and are illegal in a number of states as well. Georgia banned the drugs last month under a synthetic drugs analog law, and now neighboring Florida has moved to do so, too. 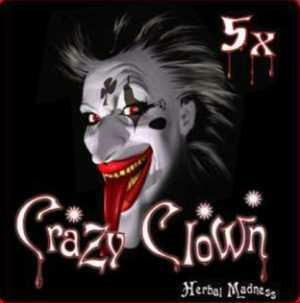 The move came after a spate of media reports and law enforcement warnings in August and September about users suffering ill effects from "Crazy Clown," including nausea, vomiting, and violent behavior. But there has been no reported follow-up on those initial accounts. "I will remain vigilant in my efforts to keep these drugs off store shelves and will continue to outlaw emergent synthetic drug compounds. These drugs pose a serious threat to Floridians, particularly our youth," said Attorney General Bondi. 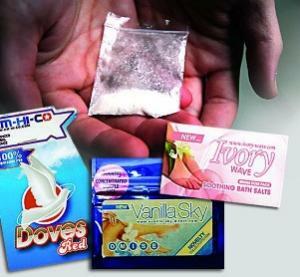 "While synthetic drugs are marketed as safe alternatives to illegal drugs, make no mistake; these synthetics are dangerous," said Florida Department of Law Enforcement Commissioner Gerald Bailey. "Adding these four new concoctions to Florida's schedule 1 drug list strengthens our fight. We will continue our efforts with Attorney General Bondi to identify illegal chemicals and react swiftly." Bondi said she will work with the state legislature to permanently ban them next year. While Bondi's action is of a piece with the reflexive prohibitionist response to the earlier new synthetics apparent both in Washington and in state houses around the country, banning new synthetic drugs is not the only possible response to them. New Zealand made headlines worldwide when instead of banning them, it moved to regulate new synthetics.